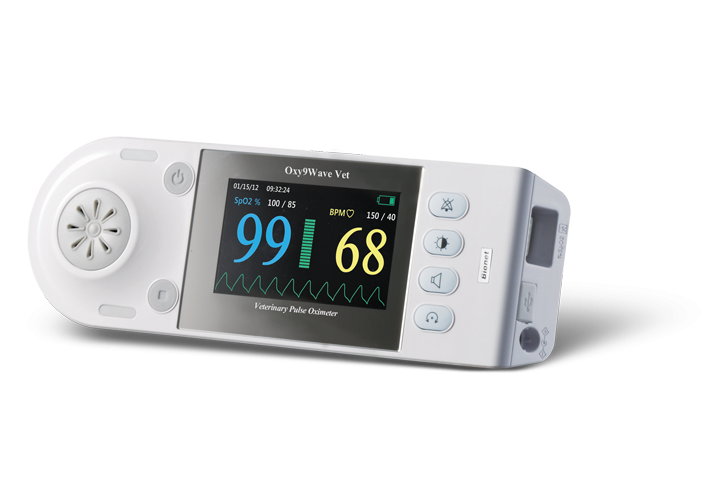 Oxy9Wave Vet is a portable color-display pulse oximeter. Audible alarms sound if SpO2 or pulse are outside the user definable normal limits. Oxy9Wave Vet was developed with quality and convenience in mind.